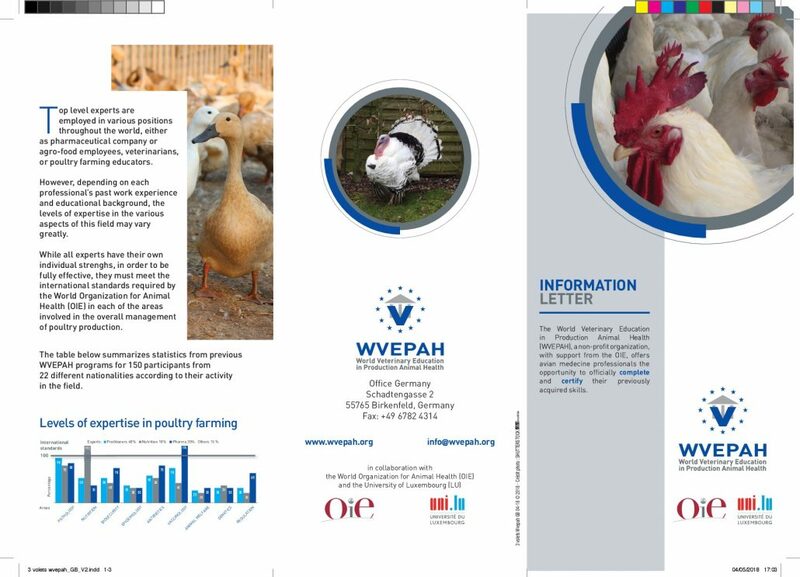 A non-profit organization, supported by the World Organisation for Animal Health (WOAH-OIE), in collaboration with the Shanghai Academy of Agricultural Sciences is launching a specialized course «Egg layers» devoted to professionals in Poultry. This Course will be separated in two sections: from 10 to 14 September 2018 and from 22 to 26 October 2018. The course will be held in Shanghai, conducted in English and translated into Chinese. 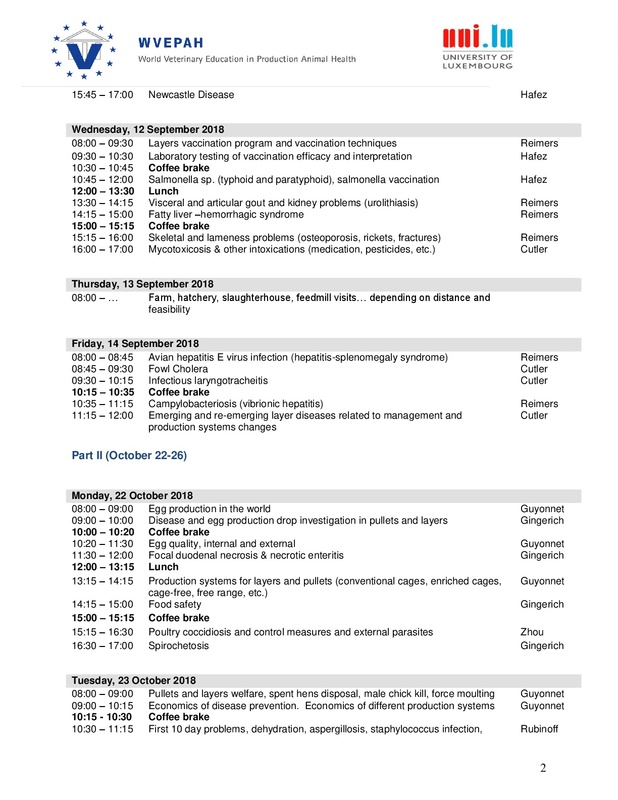 In fact, participants can complete their knowledge and expertise in Layers health and productivity and apply it in the field (see complete program attached). Furthermore, after attending module “Key disciplines” for a specific focus on Pathology, Nutrition, Metabolism, Biosecurity, Epidemiology, Antibio-therapy, Vaccines, Genetic, Animal Welfare, Regulation, they can obtain the academic diploma «Certificate in Animal Health: Poultry Production» granted by the University of Luxembourg and worldwide validated by the OIE for the “Regulation” aspects. 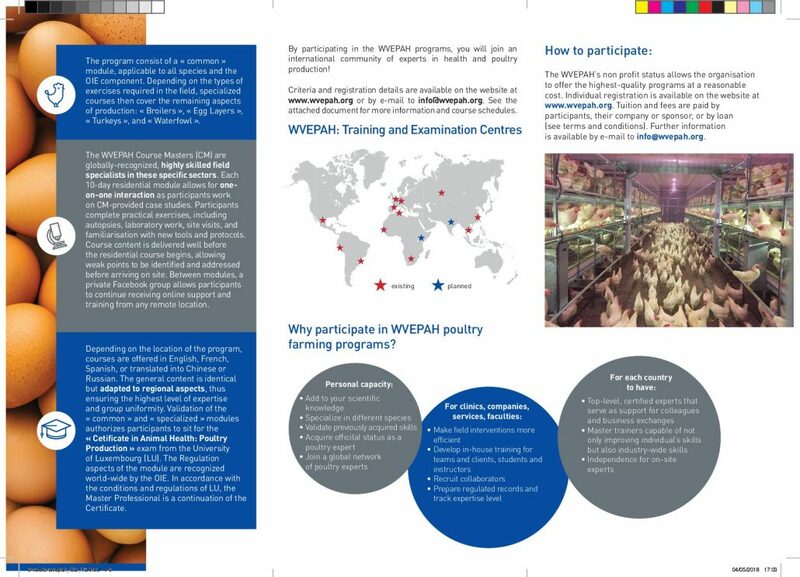 Graduates, de facto, are getting the status of International expert in Poultry. 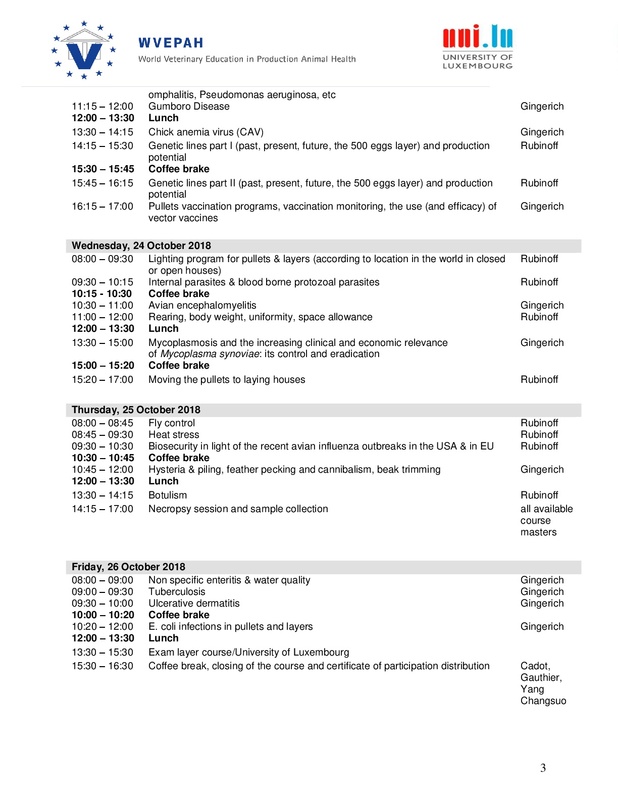 For further information, we are sending you attached the complete program, as well as the WVEPAH flyer and the information about upcoming trainings. 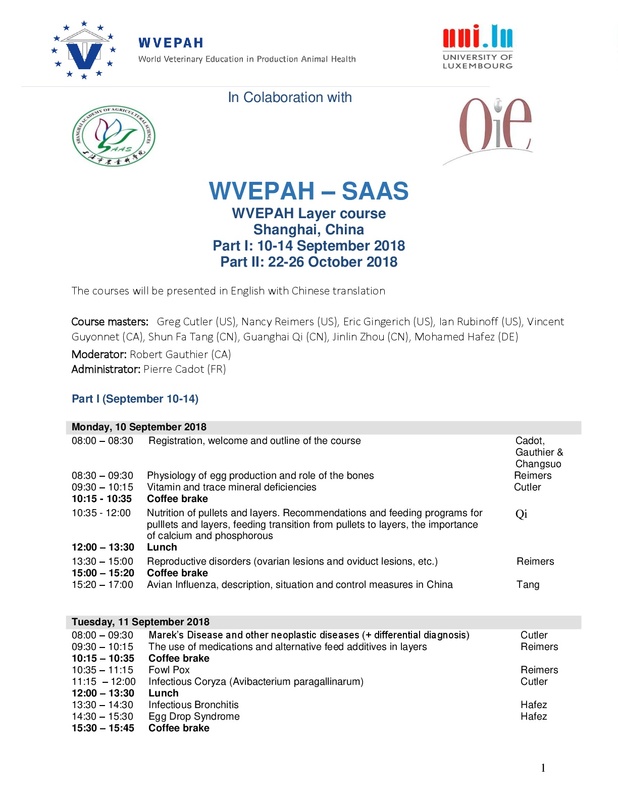 Please refer to our website www.wvepah.org for further details about the course and the WVEPAH.